Lexington, Ky. – US Equestrian (USEF) is pleased to announce the dates for the eighth annual Robert Dover Horsemastership Clinic Week (RDHMW) from January 2-5, in Wellington, Fla. Designed to identify and develop the next generation of U.S. equestrian team talent, participants will receive instruction from experts in a variety of aspects of horsemanship. Past participants included members of the 2017 Adequan/FEI North American Junior and Young Rider Championship (NAJYRC) presented by Gotham North teams including: Kristin Counterman, Bebe Davis, Claire Hodges, Callie Jones, Rebekah Mingari, and Allison Nemeth. Additionally, past participants of the RDHMW also participated in the 2017 The Dutta Corp./USEF Brentina Cup National Championships presented by Dressage Today, including Kaitlyn Blythe, Mallory Chambers, Natalie Pai, and Molly Paris. Training sessions will feature intense, mounted sessions led by internationally acclaimed American athletes and trainers and daily instruction on all facets of horsemanship from experts in their respective fields. Participants will hear lectures from veterinarians, saddle and tack specialists, farriers, dressage professionals, media staff, life coaches, and accredited judges. The week will conclude on January 5, with clinic participants riding their tests in front of the judges and gaining feedback from coaches. 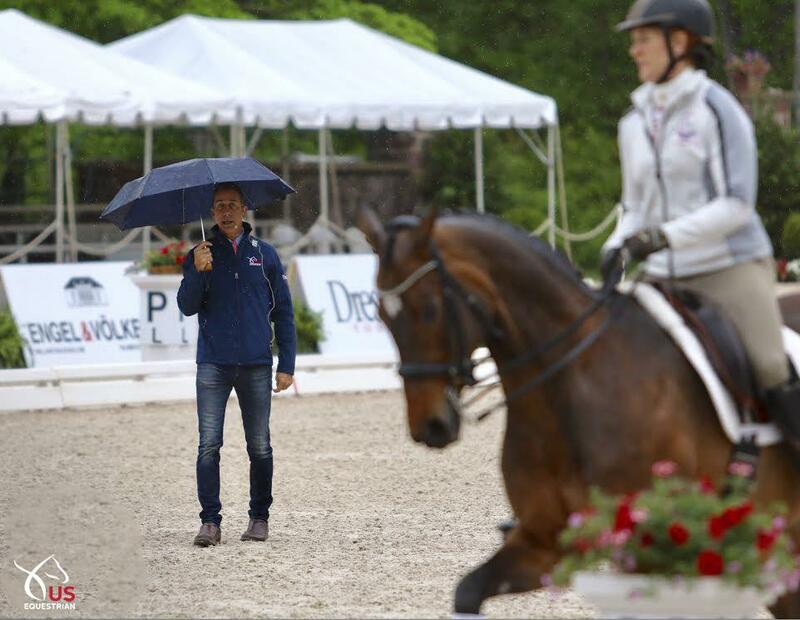 US Equestrian appreciates the many sponsors and clinicians who make this event possible, including Kim Van Kampen of Hampton Green Farm and Equestrian Sport Productions (ESP) in conjunction with Mark and Katherine Bellisimo. US Equestrian also thanks Terri Kane and Diamante Farms for her continued support and hosting of the party for the sponsors and participants of the clinic. Athletes interested in a wild card application should contact Hallye Griffin, US Equestrian Managing Director, Dressage, at hgriffin@usef.org. The deadline for application submission is November 15, 2018. The public is welcome to audit all mounted sessions at a nominal $25/day charge. This entry was posted in Education, FEI & USEF Dressage News, South Florida News on October 4, 2017 by ludlumfarms.